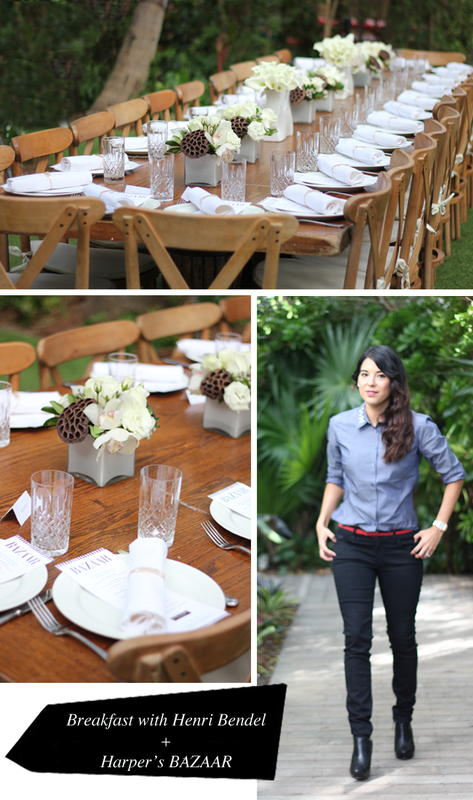 Today I attended a fun breakfast with Henri Bendel and Harper's BAZZAR to kick-off Art Basel in Miami. We got to meet with the creative director of Henri Bendel, Pina Ferlisi and learn more about the brand. I was really amazed by all of their accessories and handbags, which would make great gifts for the holidays. Below are a few of my favorite pieces. I particularly love that Jetsetter backpack, which doubles as a satchel. As a new mommy, I'm always looking for accessories that are convenient and practical. For my outfit, I wore a few pieces I scored during Black Friday, including this chambray shirt from Ann Taylor and these black skinny jeans from GUESS. 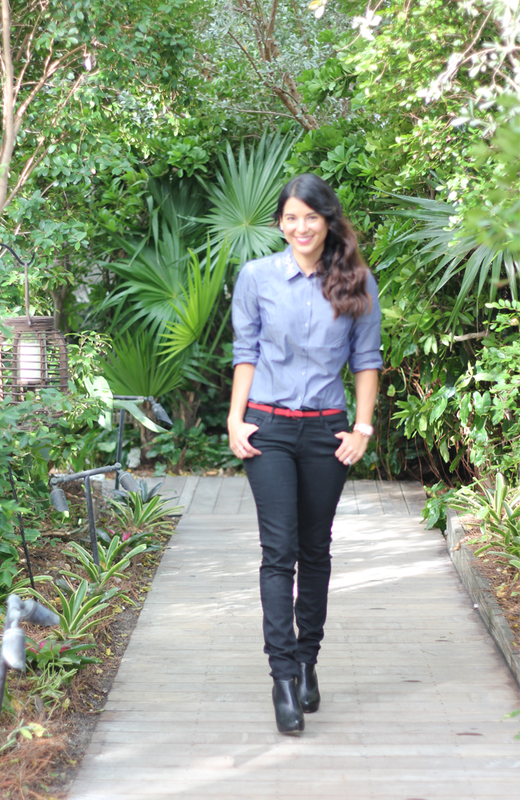 I added a pop of color with this red skinny belt from LOFT, but overall kept things pretty classic. I love the outfit, especially the shirt !